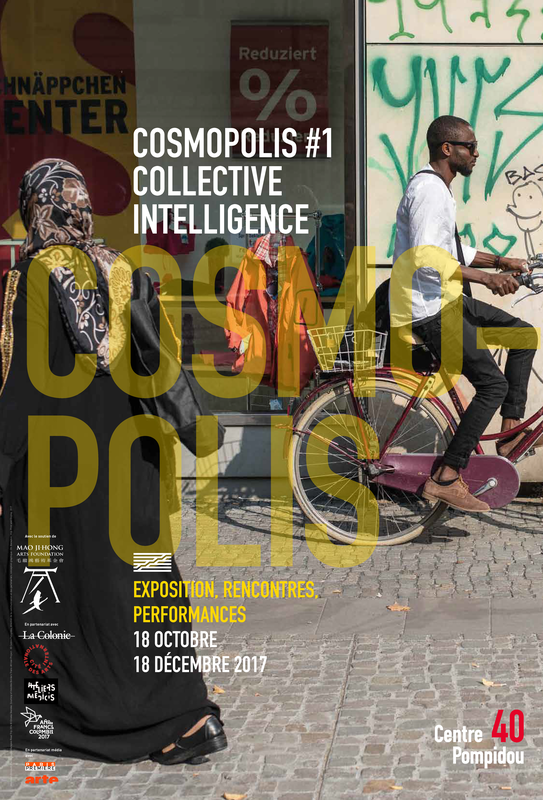 The Centre Pompidou is presenting the first edition of Cosmopolis: a new type of event dedicated to artistic practices that combine research and expertise-sharing. This platform, consisting of exhibitions, talks, performances and conversations, puts the spotlight on these new practices and creates conditions for exploring the social, urban and political questions they raise. Cosmopolis gives visibility to the various places where contemporary art flourishes, and to approaches and experiments concerning cultural translation, rooted in a local context but also part of an international network. A 80 minutes film of the Invisible Borders Road Trips. A collage wall of images and texts drawn from photographs depicting the process of the Trans-African Road Trips, and newly created texts by selected writer-participants of the road trip. Display of the chapbooks from the writers of Borders Within Trans-Nigerian Road Trip – 2000 copies each. In a world obsessed with artefacts – the physical, final object – as the preferred form of artistic outcomes, Invisible Borders shifts the gaze to emphasise the never-ending, evolutive nature of Process. As such, rather than present the work produced by the participating artists as definite outcomes, they are considered precipitates of an ephemeral, aesthetic experience by which further conversations are instigated within the exhibitions and presentations. The artist’s presence on the road is as important as the work that commences from that presence. Central to the Invisible Borders Installation is the idea of the collective as a platform for the nurturing of mindsets and perceptions that offer alternative methodologies and ways of being in an increasingly narrow and enclosed notion of place, territory, and identity. As such, we shall employ as a metaphor the Road’s unending nature. Ala Kheir (collage – images), Amaize Ojeikere (collage – images), Charles Okereke (collage – images), Emmanuel Iduma (Chapbook), Emeka Okereke (Film, collage – text and images), Jide Odukoya (collage – images), Novo Isioro (collage – images), Tom Saater (collage – images), Yinka Elujoba (collage – text, chapbook), Uche Okonkwo (collage text, chapbook). Arquitectura Expandida (Colombia), ArtLabor (Vietnam), Chimurenga (South Africa), Chto Delat (Russia), Council (France), Foundland (The Netherlands / Egypt), Iconoclasistas (Argentina), Invisible Borders (Nigeria), Laagencia (Colombia), Mixrice (South Korea), Polit-Sheer-Form Office (China), PorEstosDias (Colombia), Ruangrupa (Indonesia), The Tentative Collective (Pakistan). Cover image: Maximum Discount, Berlin, Lagos-Sarajevo Road Trip 2014 © Emeka Okereke. Courtesy of Invisible Borders Trans-African Project.